To promote public safety, a new 10-minute customer loading zone has been in installed in the City of Beverly Hills on San Vicente Bl. for access to the 8383 Wilshire building. Uber and Lyft drivers are encouraged to drop-off and pick-up passengers from the 8383 Wilshire building at the established location. Uber and Lyft drivers are prohibited from picking up passengers on Gale Dr, which interferes with Section 1 Metro Purple Line Extension Transit Project trucks from entering and leaving the Gale Staging yard located Wilshire Bl and Gale Dr. The 10-minute customer loading zone is located on San Vicente Bl, just south of San Vicente Bl driveway to 8383 Wilshire building. 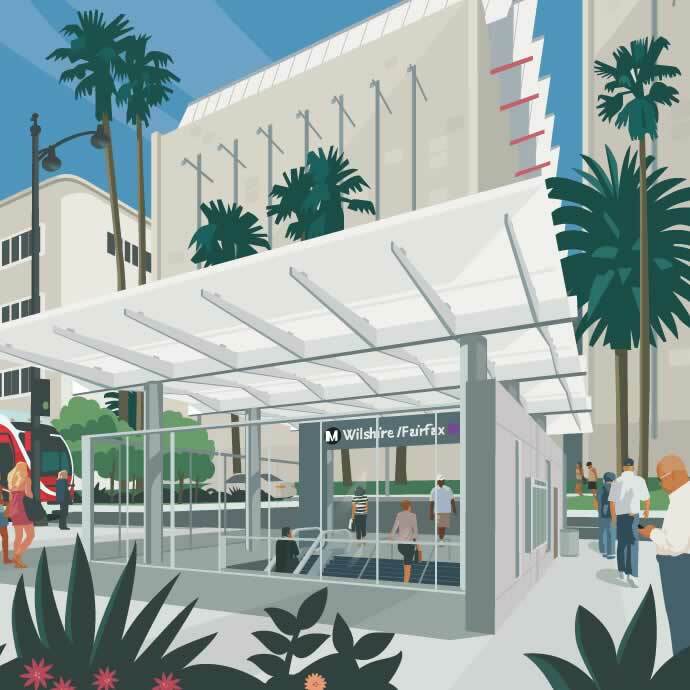 Metro bus stops for 720/20 have been relocated to Wilshire Blvd./Stanley Ave. and Wilshire Blvd./La Jolla Ave. Metro buses will post stop relocations and announce relocations and detours to riders. Train service will be replaced by bus shuttles on two stretches of the Expo Line this month in order for maintenance and repair work to be performed on overhead wires, track and communications equipment. Click for more info.